Many energy consumers believe that energy switching is a difficult and confusing process. It is not hard to see where that view comes from. There are huge numbers of tariffs to choose from, a large and growing number of energy providers that no one has ever heard of, and lots of industry jargon seemingly designed to confuse you to the point of giving up before you even start. The reality is that switching energy supplier is actually very quick and easy and brings huge potential benefits in terms of savings. It can also help speed up the switch to renewable and sustainable energy (depending upon which tariff you switch to). As simple as it already is, we’ve gone a step further. Energyscanner, and its partner TheEnergyShop.com, have built a super quick and easy energy comparison and switching platform making switching as easy as we possibly can. It’s not perfect because there are energy industry processes that unfortunately limit what we can do. For example, we would love to work on a real-time switching basis so you know your switch is done as soon as you hit that apply button. But unfortunately current industry processes won’t let us, for now at least so we need to rely on energy suppliers to complete the switch. If and when things change rest assured we will work to ensure that switching remains as quick, easy and hassle free as possible. This guide will take you through the energy switching process, will answer typical questions customers might have and will show you how to get the best out of comparing and switching energy tariffs. We hope you find it useful. Why should I switch my energy supplier or tariff? Because by switching you could save a lot of money! Depending upon your energy usage you could save £300 each year, or more. In addition to the savings from switching, there are other benefits you can pick up along the way, such as online account management, renewable energy (many tariffs now have a green or renewable component to their energy as standard) and the security of ensuring your prices don’t change if you opt for a fixed price tariff. We have pulled together a wide range of energy deals from a range of quality vetted energy suppliers to help you find the gas and electricity deal that’s right for you; quickly, easily and securely. How much you can save depends on a number of factors. These include how much energy you use, how you want to pay your bill and the number of energy suppliers competing for your business in your area. Savings of £300 per year are typical for customers who move from a Standard Variable tariff t0 one of the cheaper deals in the market. For high energy users, the savings on their gas and electricity could be much larger. To find out exactly how much you can save by switching supplier, enter your details into our energy price comparison calculator and we’ll calculate the savings for you. Why should you pay more for the same energy? To do a search for a cheaper gas and electricity supply takes less than a minute. You only need to enter your postcode and supply address, pick your current energy supplier and tariff details and then input how much gas and electricity you use. Energy tariffs vary regionally so we need to know where you live so we can show those tariffs that are available to you. It might be helpful to have a recent energy bill or, even better, your Annual Statement to hand. Not essential but useful. The Annual Statement in particular shows your annual energy usage in kilowatt hours; this will help you get the most accurate comparison. To make an application to switch energy supplier takes just a few minutes more. You will need to provide us with your name, address and contact information, and your bank details if you want to pay by direct debit. Sometimes we need to ask for your electricity or gas meter reference numbers, which you can find printed on your energy bill or Annual Statement. What happens once I’ve chosen my new energy tariff and completed the application? We will validate the data you have entered on our online form and then submit the application securely to the new energy supplier. Your new supplier will be responsible for completing the rest of the transfer process including notifying your current supplier that you are switching and ensuring the switch goes through smoothly. We will however be on hand to help, where we can, if things don’t work exactly to plan. As a first step, your new energy supplier will contact you to confirm your application. This will usually be by email and should be 1-3 working days after your application is submitted on our website. Later they will get in touch again to confirm the exact date of your switch. The new supplier will usually encourage you to set up an online account even if you have not applied for an online tariff. In our opinion this is well worth doing as it allows you to view and manage your account more easily as well as getting access to online tools that can show you information about your energy usage. On, or around the date of your switch – it doesn’t have to be on the exact day – please take a meter reading and submit this to your new energy supplier (online, by email or by phone as requested). This will be your opening meter reading with your new energy supplier meaning that, from that reading onwards, you will be billed by your new supplier on their tariff rates. This same meter reading will be sent by your new supplier to your existing energy supplier who will use the reading to close your account and send you a final bill. Your final will either show a debit (you owe them money) or a credit (they owe you money) depending upon how up to your payments are. Once you have settled the final bill with your current energy supplier we recommend that you cancel your direct debit with them to ensure no further payments are taken from your account. It is not the end of the world if you forget to do this as you are in any case protected by the Direct Debit guarantee. Regulation (from Europe would you believe) allows energy suppliers up to 21 days (plus a 14 day cooling off period) in which they have to complete your energy switch. That’s up to 5 weeks in total. Most switches are done much quicker than that. Ofgem’s website states that “In most cases, it’s around 17 days”. Based on our own experience we are not so sure it is quite that quick, so do allow a little longer. However, your switch should in the majority of cases be complete within 4 weeks from the switch date. You have a statutory cooling off period of 14 days from the date you make your application during which time you are free to cancel. The best way to do this is by contacting the supplier directly, but please do this as soon as possible to ensure you don’t miss the 14 day deadline. If you change your mind soon after switching (that is, before you get an acknowledgement from the supplier) then you can contact us and we will pass your request onto the supplier for you. If you miss the 14 day cancellation window then unfortunately you will need to allow the switch to complete first before switching away again. Please note that if your new tariff has an exit penalty you will be charged this when you leave. Your new energy supplier will use the exact same electricity wires, gas pipes and meters that are connecting your property to the gas and electricity grid now. You will not experience any loss of supply during the energy switching process. In fact, the energy coming into your home will stay exactly the same. What will change is that you will pay different prices, the supply and billing will be managed by a new company, and your new energy supplier may purchase the energy they sell to you from different generators so that, for example, more green or renewable energy enters the grid than before. When can I change energy supplier? Anytime you like. You are free to choose who supplies your home with gas and electricity even if you rent your home. However please note that some tariffs have exit penalties so be careful to check whether these apply to you before switching. That depends on how much you owe your energy supplier and how long it has been outstanding for. The are a number of different scenarios. If your energy account has been in debt for 28 days or less then you should not experience any problems. Once your switch is complete any money owed will be added to the final bill from your old supplier. If you’ve been in debt to your supplier for over 28 days, you will need to repay the debt first, otherwise your current supplier will be able to block the transfer. If you’re on a prepayment tariff and you have less than £500 in debt (per fuel) you should still be able to switch. In these cases, the current debt on your account is transferred to your new energy supplier. If your supplier has notified you of a price increase and you are in debt with them then you have 30 days in which to pay off the debt, and they will not be able block your transfer. I have prepayment meters for my gas and electricity. Can I change suppliers? Yes you can. There are fewer energy suppliers offering energy tariffs for prepayment meters than there are for credit meters. However competition has been heating up recently and there are savings to be had. Use our energy price comparison tool to check which energy suppliers and tariffs are available and work for you. Can my current supplier prevent me from switching to a new supplier for any other reason? As long as you are not in debt with your existing gas and electricity supplier, they can’t stop you from switching. If I decide to switch energy suppliers do I need to contact my current gas or electricity supplier? No. Your new energy supplier will arrange the switch for you so you do not need to contact your previous gas or electricity supplier. It depends on your new energy supplier. Your new supplier will usually ask you to take the opening reading yourself or they may arrange for someone to come and read your meter. We recommend that you keep a note of the reading to ensure that you agree with the final bill from your old supplier when it arrives. 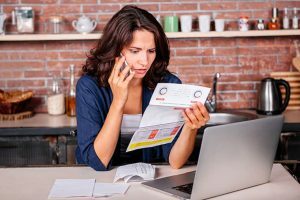 When should I cancel the Direct Debit with my current energy supplier? You should not cancel your Direct Debit with your current energy supplier until the transfer of your gas or electricity supply has been confirmed. This will typically be done in under 4 weeks. You should also pay the final bill from your previous energy supplier before cancelling your Direct Debit mandate with them. Ok. You’ve convinced me. What else do I need to know? Great. Below we’ve added some additional information that will help guide you making your application to switch your gas and electricity supplier on our website. What information will I need to provide to get a comparison quote and to then switch? Not much. Here are the key bits of information that you will need. Your postcode and address (so we can show you deals applicable to where you live). Your current energy supplier(s) and ideally the tariff or tariffs that you are currently on. You energy usage – preferably in kilowatt hours (kWh) separately for gas and electricity. If you don’t have that handy don’t worry, we can also estimate this from your annual spend or you can use an estimate based on your usage profile. It might be helpful to have a recent energy bill or, even better, your Annual Statement, to hand as most of the required information can be found there. Your personal and contact details such as your name, address and contact information – so that your account can be set up correctly and so that the energy supplier knows where and how to contact you. You will also be asked whether you consent to being communicated with by the energy supplier and, if so, how. What if I don’t know who my current energy supplier is? If you don’t know who is currently supplying you with gas and/or electricity, you can find out in one of the following ways. Take a look at our Who supplies my energy? page. There is lots more information there. A dual fuel deal is one where you get gas and electricity from the same energy supply company. These deals may offer discounts or lower gas and electricity prices, plus the convenience of dealing with a single supplier for both fuels. There are a number of factors that you might want to take into consideration when choosing a new cheap gas and electricity supplier. Some of these are listed below. Do you want a single cheaper supplier for both your gas and electricity (a dual fuel supply) or are you just after the best deal irrespective of who supplies it? The former is more convenient whereas the later may be a little cheaper overall. Do they ask for payment in advance? An increasing number of the smaller energy suppliers ask for the first payment even before you have come on supply with them. We are not keen on this practise as it is indicative of poor financing and suggests an increased financial risk. How much renewable or low carbon energy do they offer as standard in their fuel mix? What additional features and benefits come with the new energy deal? What can they offer in terms of customer service? What is their complaints handling record? What should I consider when choosing a new energy tariff? You might want to consider the following. Price and savings – for most people this is the primary, if not only, reason for switching. How do you want to pay your bills? Paying by monthly direct debit is usually much cheaper than other payment methods so we would always recommend this. Be cautious of any tariff where the supplier asks for payment in advance of the supply start date and particularly where 1 or 2 months up-front payment is required, for reasons described above. How do you want to manage your account – online of offline? Online is now becoming more or less standard and you’ll usually need to pay a premium for offline management and paper bills in the post. If you don’t need paper bills go online. Do you want a tariff that has a fully renewable electricity component? What additional features and benefits come with the new energy deal? Loyalty points, charitable contributions, energy monitors etc.? On the results page of your search you can use our unique set of filters to narrow down the types of tariff features that you are interested in. Ready to get started? Just pop in your postcode into the box above. It could save you £100’s in just a few minutes.